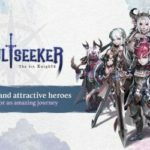 Soul Seeker: Six Knights is the highly anticipated sequel to Clegames’ original strategy RPG. 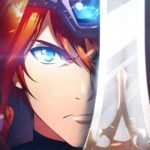 This game has even more anime-style heroes to collect, better visuals, and some added new features that improves upon the original Soul Seeker. This time around, you will be in charge of assembling a team of six heroes. The world is caught in the middle of a battle between five factions who are after the Soulstones that contain the power of the gods. You are part of the Sixth Order, the Albion Knights, and your goal is to beat the other factions to the Soulstones. This is the only way to prevent the complete destruction of the great continent of Hermes. Brute force can only take you so far in the game. 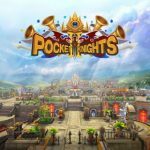 Check out our Soul Seeker: Six Knights beginner’s guide for tips, cheats and strategies in order to save the world! Balance is the most important thing to consider when assembling a team. In order to create a balanced team in Soul Seeker: Six Knights, however, you must first understand the different roles. The six roles in the game are Tank, Fighter, Assassin, Marksman, Mage, and Support. Each one has its one strengths and weaknesses, so maintaining a team with a good mix of each one would help ensure a well-rounded team. Similarly to other mobile RPGs, each hero in Soul Seeker: Six Knights has an assigned elemental property. Each element is strong against another. The five elements are Fire, Water, Air, Light, and Dark. This is another aspect that you should consider when balancing your team. You may not have a lot of choices in the beginning of the game, but it is a good idea to start balancing your team’s elements as soon as you are able to in order to avoid being vulnerable to a single element. Now that you have a good team assembled, you should turn your attention to strengthening them further. There are three ways for you to do so. The first one is by leveling up your characters and evolving them. You just need to keep using them in battle, so they can earn experience and level up. The second way to strengthen your team is by ensuring each member has the best possible equipment. There are over 270 pieces of equipment available in the game. These include weapons, boots, gauntlets, and body armor. You can equip, combine, and upgrade your equipment in order to become stronger. One thing you should keep in mind is that two pieces of equipment that have the same name will not necessarily have the same stats. Always pay attention to the stats of the equipment that you find, and choose the one with better numbers. Finally, the third option is to upgrade your runes. There are over 135 runes available in the game, each with its own special effect. Choose your runes wisely in order to maximize the combat ability of your team. Just as with the equipment, you can combine the runes that you find in order to create better ones. There are different ratings for both equipment and runes. Combining will increase the quality rating, so make sure you do so whenever possible. No matter how strong your characters are, you will still struggle in the game if you do not have some kind of strategy in place. Make sure you are always a few steps ahead of your opponent and anticipate different outcomes. This is where your knowledge of the elements come in. For example, you will notice that your heroes with the Light attribute are good at dishing ranged attacks. If you combine these with stun, you will gain a speed boost. Another example is the water attribute’s ability to overcome ranged attacks. Taking advantage of this will allow you to consistently deal damage to your opponents. Another strategy you should consider is how your heroes can work together. First, ensure the efficient use of the Link system. You can link two to three heroes together in order to give them various buffs. You should also take advantage of the tag function that allows you to call in your support heroes. You will need to fill up the tag bar first before you can bring someone in from the back line. When you successfully tag someone in, he will be invulnerable for a second. Time your tags perfectly and you will be able to use that one second to turn the tides of battle. 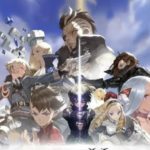 While your starting team may be useful for quite some time, you should not think of them as your end-game characters. Keep on recruiting new heroes to keep up with the increasing difficulty levels of the game. You will need to acquire Soul Stones in order to recruit a new hero. The higher the rarity of the hero, the more Soul Stones you will need. All that hard word in collecting stones, however, will be worth it once you have heroes with higher star ratings since they will be a lot stronger. Three-star heroes can only have up to three skills. Four-star heroes will only learn up to four skills. Aim for a full lineup for five-star heroes because they can have up to five skills at once. There are several game modes available in Soul Seeker: Six Knights. The primary one follows the campaign story, and this is where you will spend most of your initial levels. As you get stronger, however, it is a good idea to start testing your skills in the different modes. The PVP arena not only gives you bragging rights whenever you defeat other players, you also get to earn some extra loot in the process. You should also rake on the Temple of Hermes and the Devil’s Dungeon in order to get goodies that would not normally drop in the campaign stages. The fate of Hermes is in your hands. Be sure to use our Soul Seeker: Six Knights tips, cheats and strategies above in order to ensure your success! In addition, if you have come across other tips, tricks or strategies for the game, feel free to share them with us in the comment section!